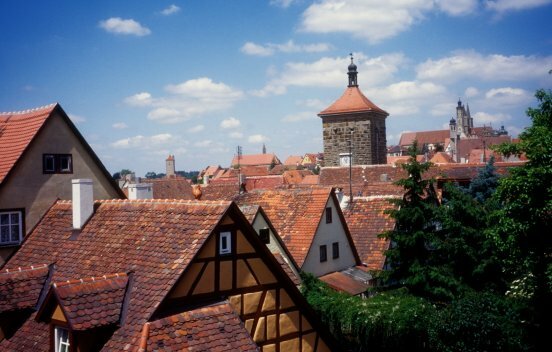 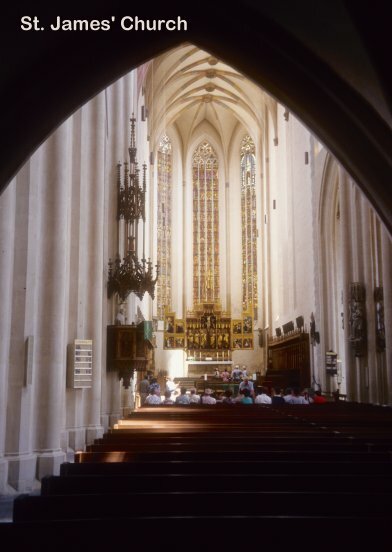 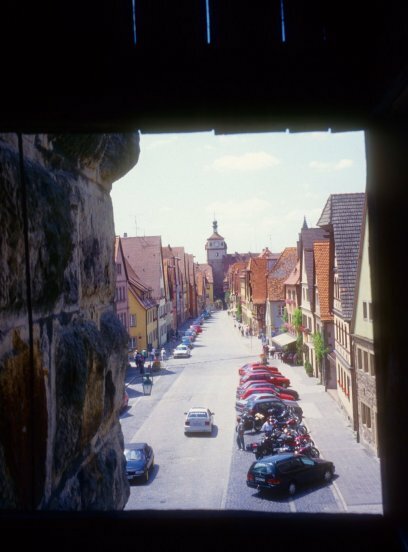 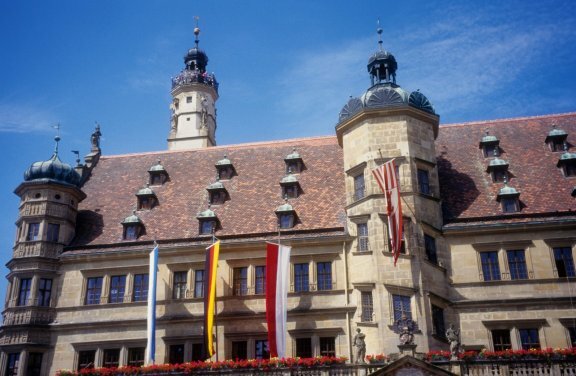 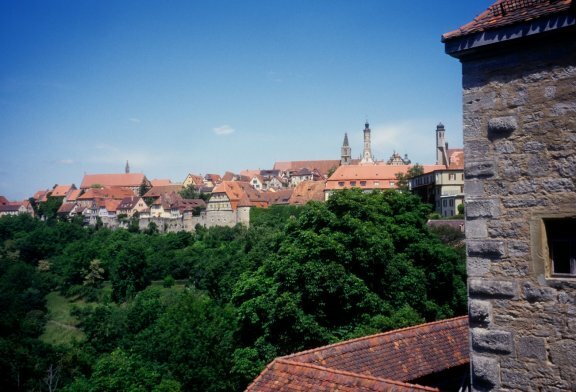 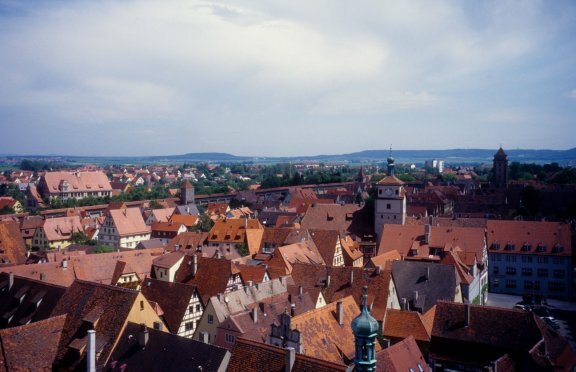 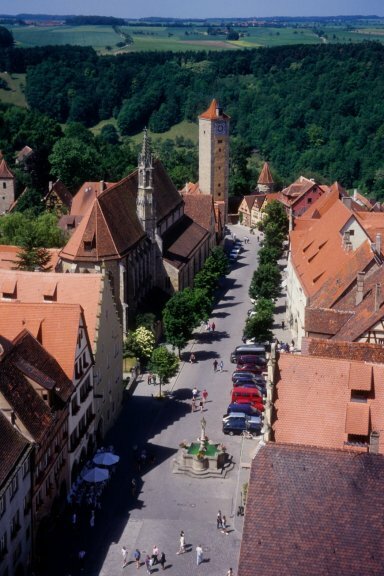 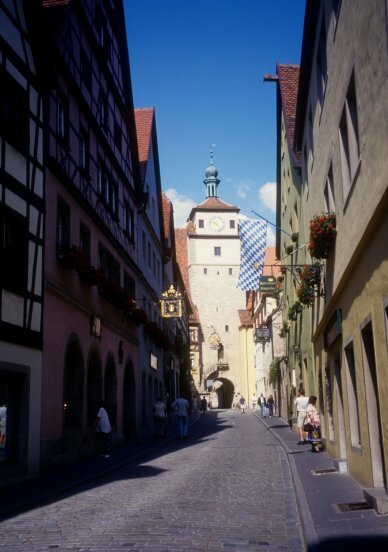 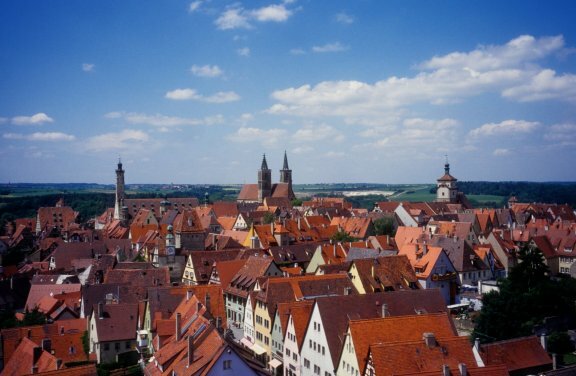 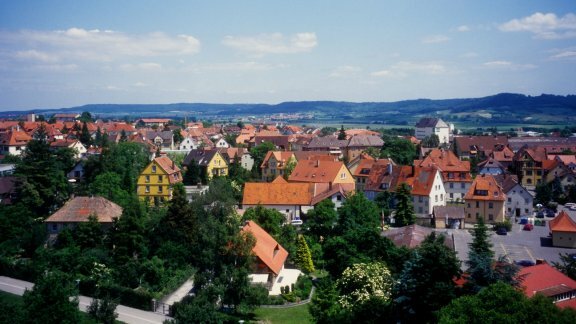 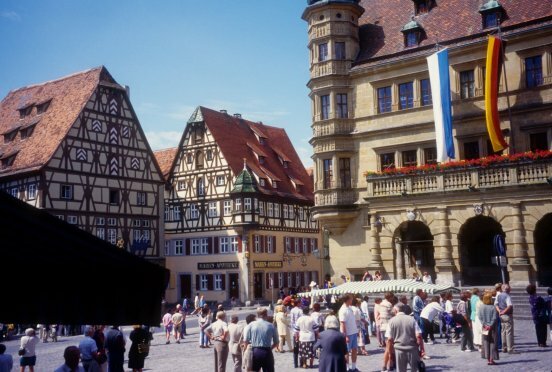 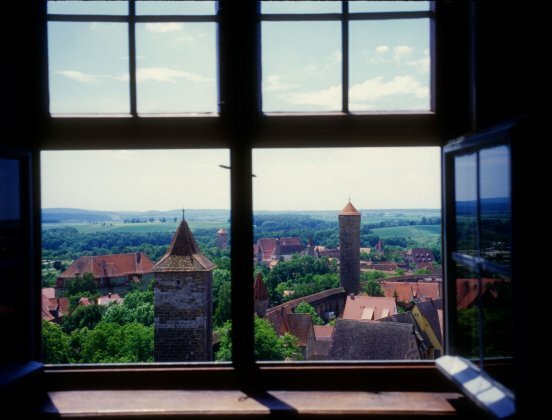 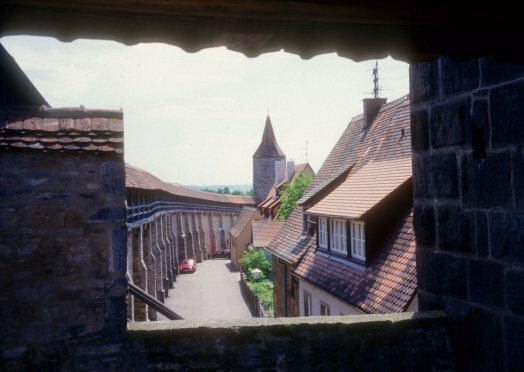 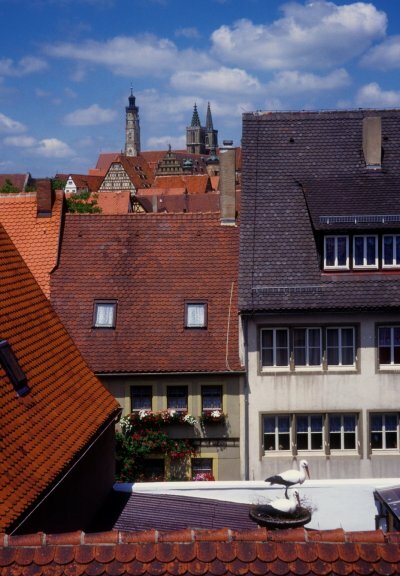 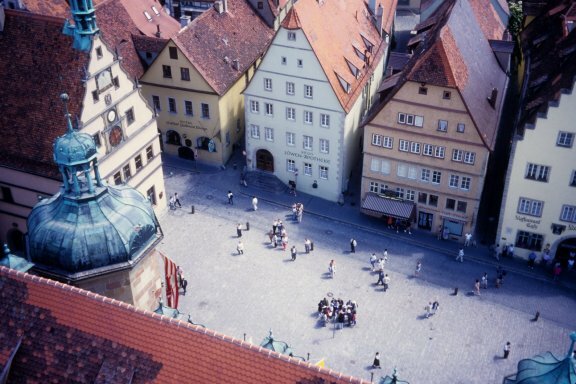 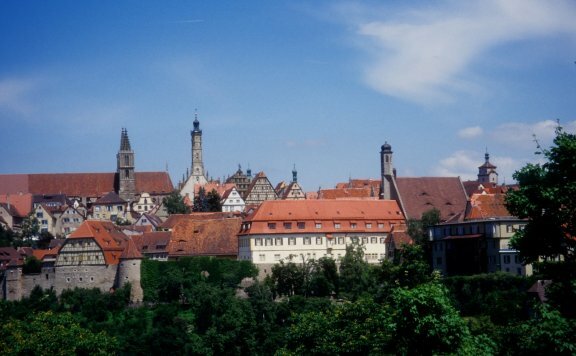 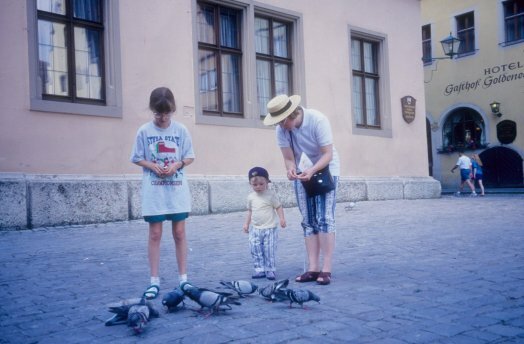 We took Rick Steves' advice and got "medievaled in Rothenburg," as we wound our way down the Romantic Road to Bavaria. 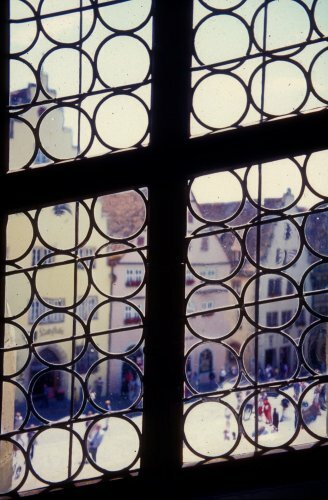 It's a tourist mecca, but for good reason, and we thoroughly enjoyed the day we spent there. 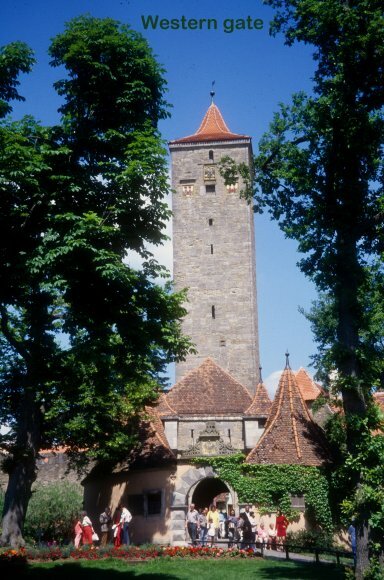 ...and, as in any medieval town, there are lots of stylish towers. 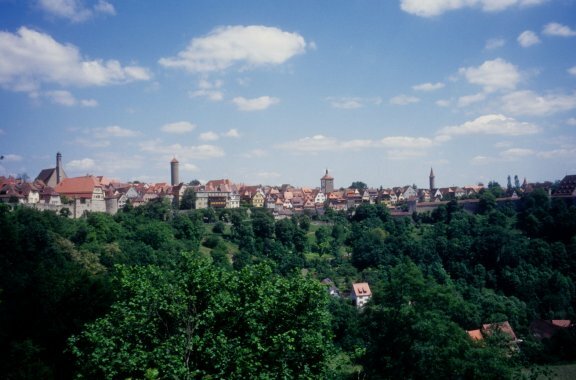 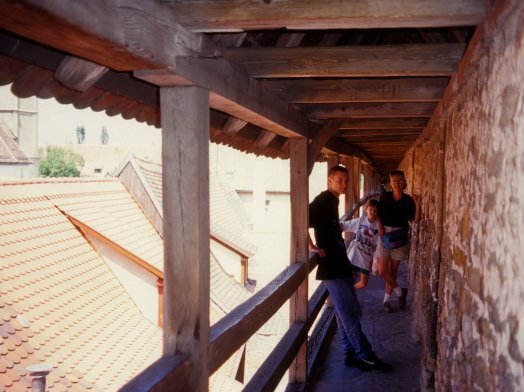 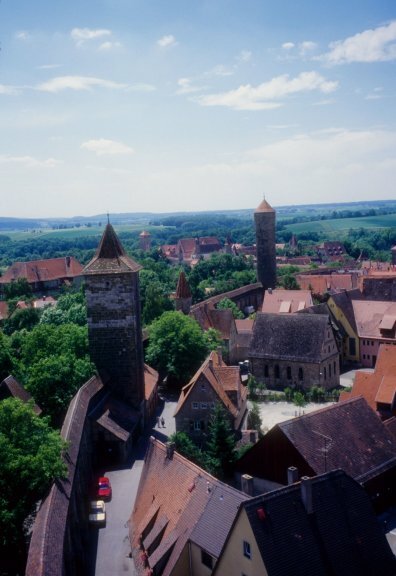 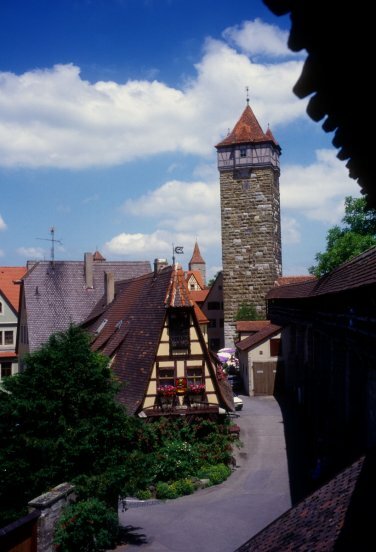 We climbed at least part of the way up another tower, the Röderturm, which is on the east side of the city, right in the middle of Rothenburg's medieval wall, the city's biggest claim to fame. 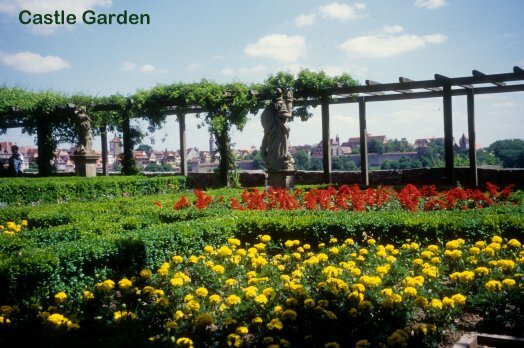 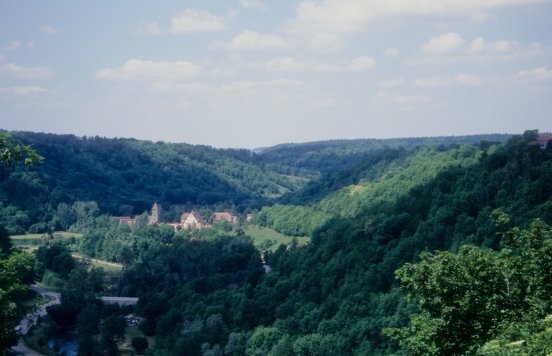 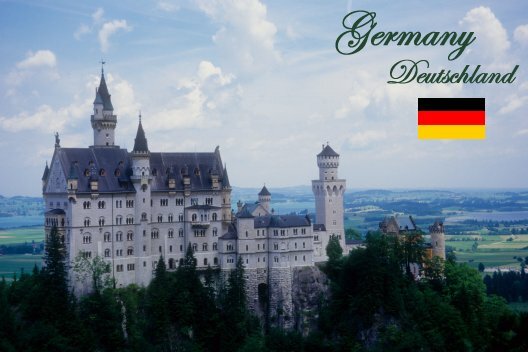 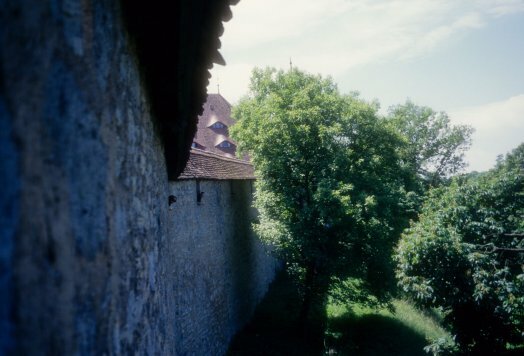 It's the best preserved wall in Germany, in spite of suffering some damage in World War II. 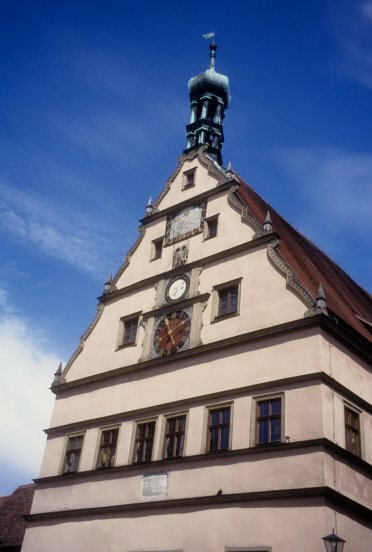 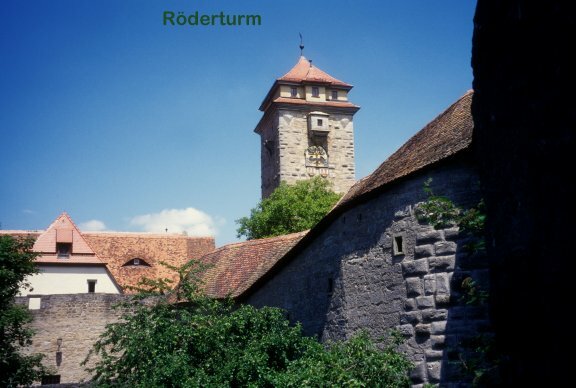 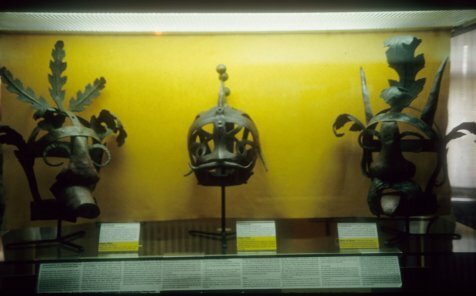 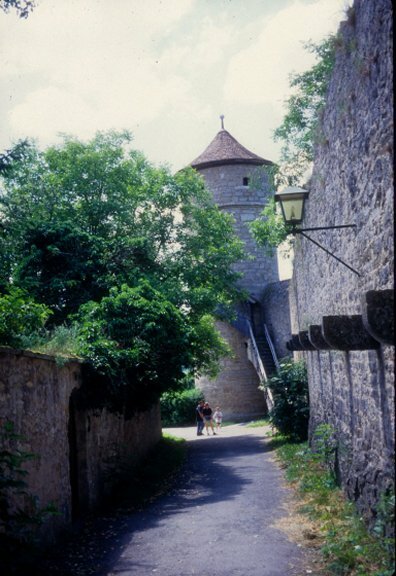 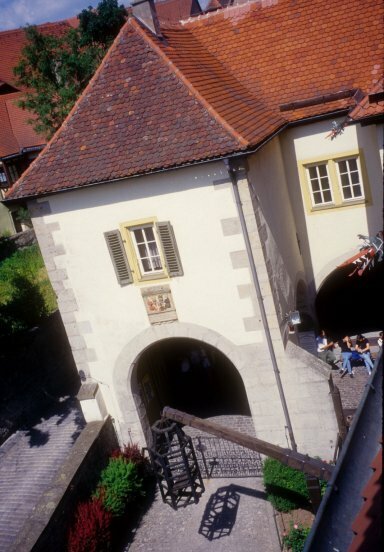 You can learn about that part of the town's history in a small museum in the Rödenturm. 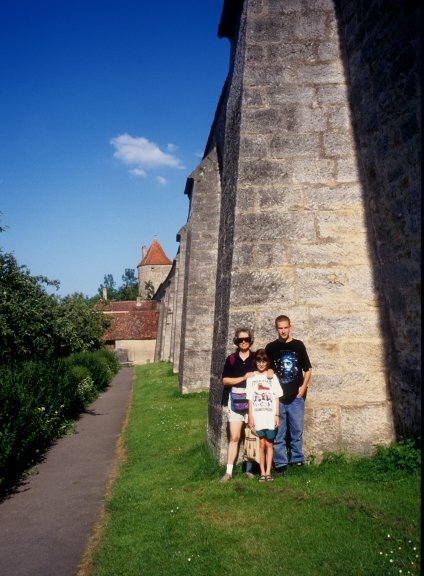 Although we were a little tired by the end of the circuit, we were able to walk the whole wall (just over a mile circumference, according to our Rick Steves' guidebook). 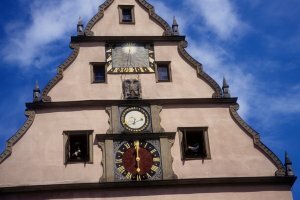 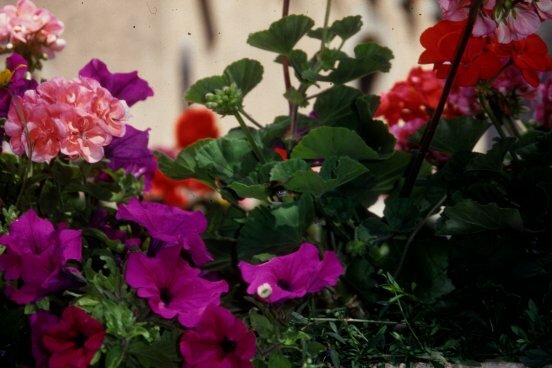 You can see a more detailed walking tour of the town, with lots of historical information, on this family history website. 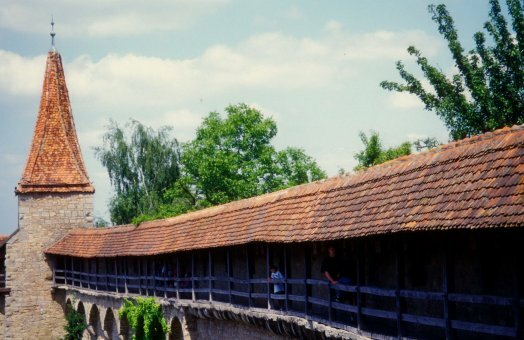 Somewhat worn out, but also quite charmed by Rothenburg, we bid it „Auf Wiedersehen” to it and its wall and continued on our way down the Romantic Road.